Such a simple reminder by C.S. 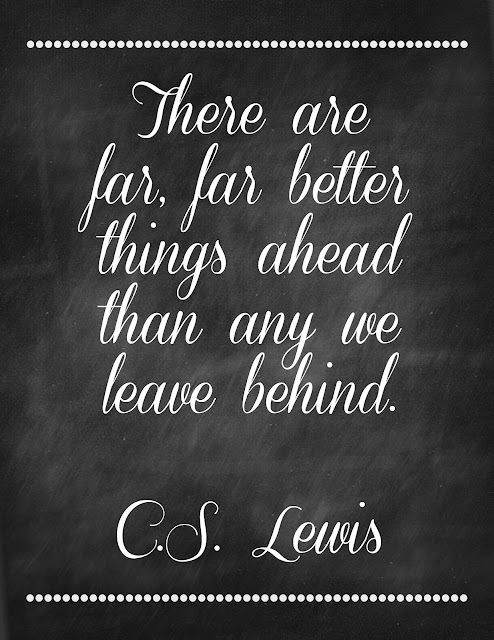 Lewis that, although it can apply to graduation, is pretty appropriate for the aftermath of the horrific tragedy that happened in Moore, Oklahoma yesterday. We happened to stay in Moore last Tuesday night (just a week ago) to break up our trip to Texas. We are looking for opportunities to go and serve in Moore to "pay it forward" for all of the fantastic support that the Joplin community received 2 years ago. I will keep you all posted of ways you can help!